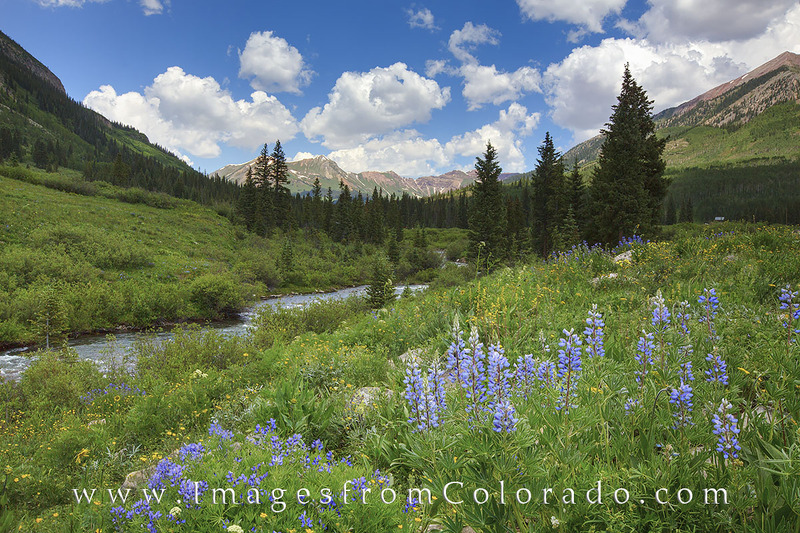 Just outside of Crested Butte, Colorado, along Gothic Road, Lupine were blooming in the summer morning. These Colorado wildflowers filled the valley along this road, and the mountains surrounding this mountain town made a perfect backdrop to an amazing landscape. Photo © copyright by Rob Greebon.